Suite Regal Penthouse - the name says it all! 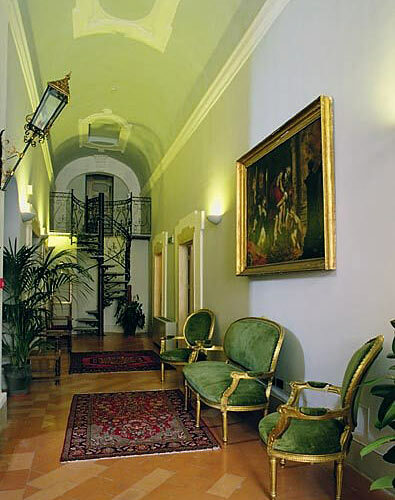 Antica Dimora alla Rocca, is a fabulous 4 star hotel comprised of the 17th century Palazzo Valenti and Palazzo Urighi, and the Medieval Borghetto del Mostaccio, in the heart of the historic center of Trevi. 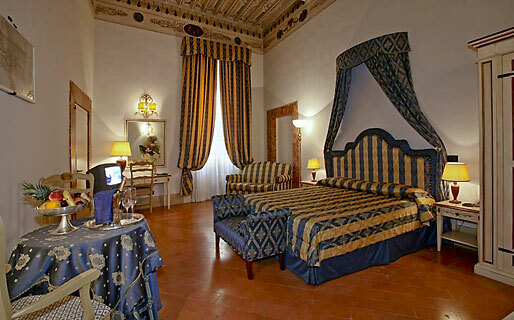 At Antica Dimora Alla Rocca guest accommodation is provided in Classic Comfort, Superior, De Luxe bedrooms and Junior suites, many of which have ceilings adorned with original frescoes. For something seriously sumptuous, book the Suite Regal Penthouse. 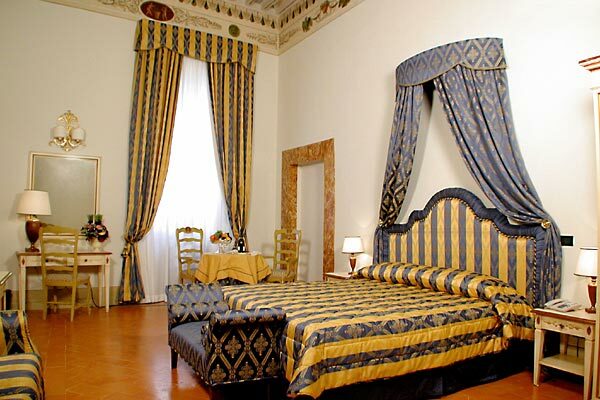 Additional rooms and studio flats are available in the nearby Borghetto del Mostaccio. Fancy a little additional pampering? 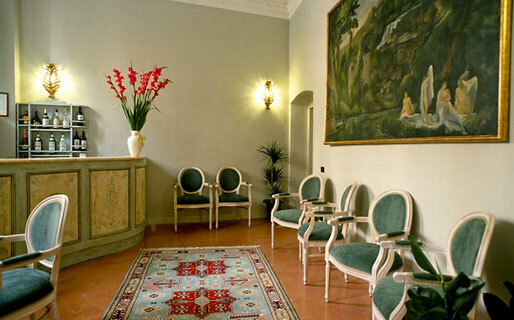 At Antica Dimora alla Rocca you can enjoy treatments by RB Beauty in the privacy of your room! 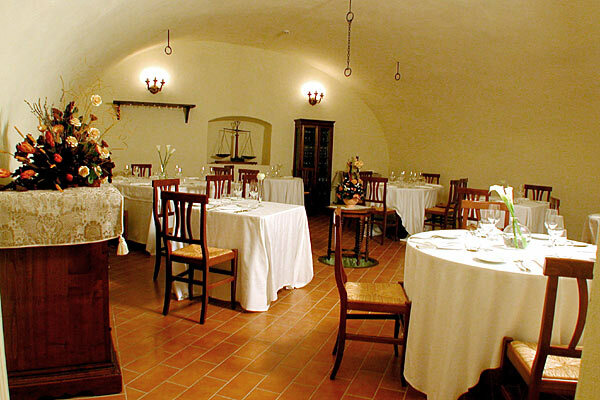 Fabulous contemporary Umbrian cuisine, prepared with the region's exceptional gastronomic produce, is served in the hotel's La Prepositura restaurant. A faultless wine list, featuring the best Italian and local wines, ensures the perfect accompaniment to each and every course. For business clients, the hotel has a number of elegant meeting rooms for as many as 30 participants. 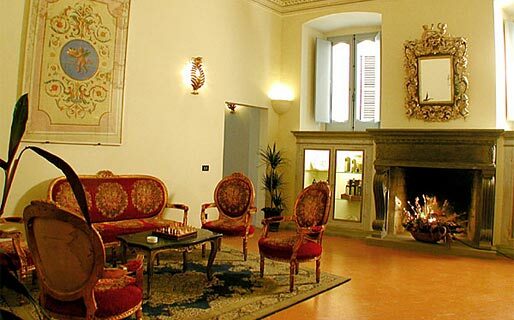 For larger events, a 100 seat conference room is available at the San Francesco Museum Complex. In the last 30 days 16 people have visited this page. 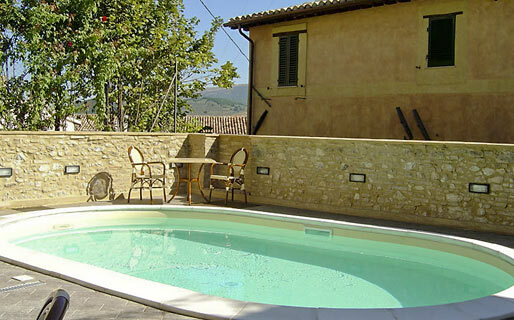 Antica Dimora alla Rocca is located in the historic center of Trevi, a beautiful medieval hilltop town situated between Foligno and Spoleto, and right in the heart of Umbria. 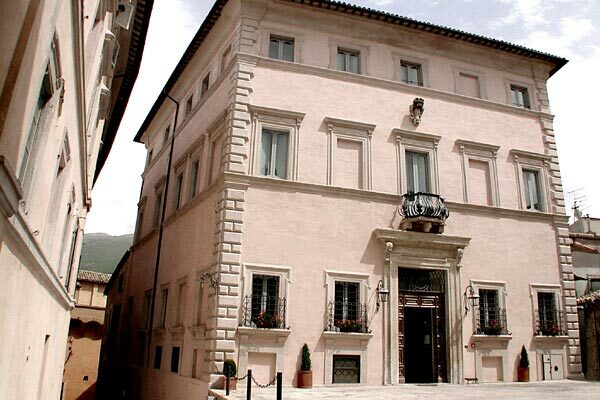 Like Assisi, Perugia, the region's capital city, is no more than an hour's drive away. Nature lovers should be sure to visit the nearby Monte Subasio Park.